One of the most extensive and valuable collections of Picasso’s linocut proofs is up for sale exclusively in Australia, with $1 million of the proceeds to be donated to a not-for-profit organisation. British art collector and philanthropist Dr Frederick Mulder will use the collection of 121 original lino cuts, valued at $9.3 million, to support The Funding Network Australia, provided the sale is successful. Mulder is one of the world’s foremost dealers in the prints of Pablo Picasso and is also the founder of The Funding Network in the United Kingdom. “I’m thrilled the sale of this collection has the potential to be an extraordinary acquisition for any buyer, and will also help create positive change and support those who need it most,” Mulder said. TFN Australia supports grassroots not-for-profit organisations through live crowdfunding events attended by individuals, foundations and corporations. Lisa Cotton, CEO of TFN Australia, told Pro Bono News that $1 million would help the organisation to scale its work. “It will be a turning point for us, because this year we’re celebrating our fourth year, and moving into a new strategy,” Cotton said. She said, in its first three years, TFN supported 130 organisations around Australia “that are coming up with new ways to tackle our most persistent social issues”. “It is vital that we continue to support these small, and often unknown, organisations that are having a significant impact in our communities,” Cotton said. She said the donation would be invested in digital infrastructure. “Ultimately we need to invest more in our technology and documenting the model so we can do more events across Australia,” she said. “[Technology] is central, we do a lot of transactions, understandably, with a live crowdfunding model, we do probably 2,000 transactions a year, so we’ve got to have a really robust back end. “And we use our website as our central knowledge hub, so we do a lot of donor communication, storytelling, etc. and we’ve got to have the capacity to be able to do that effectively and efficiently. 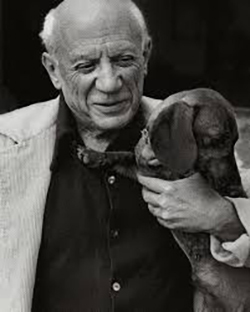 The work for sale is known as The Lump Collection, named after Picasso’s beloved Dachshund. It is said to be one of the 10 most extensive collections of linocut subjects in the world and one of the three most extensive collections of Picasso linocut proofs globally. 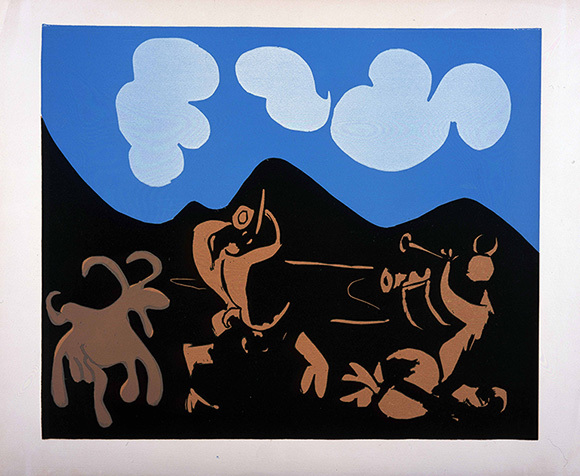 “This Picasso collection spans the entire period of his work in this medium and the sheer number and diversity of working proofs offers a unique insight into the techniques the master artist explored in producing the colour linocuts,” Mulder said. Cotton said it would be exciting to receive a donation associated with a culturally valuable collection. “It’s quite strange isn’t it – Picasso and vulnerable people, but it’s a really historically significant collection, wherever it lands, whether it’s with a private collector or whether it will be with a gallery,” she said. “The significance of it is that students will go and study it because it does show the evolution of his work over a specific period. Read the full article in ProBono Australia News here.